This is a high school level chemistry course that will take 33 weeks to complete. The age range is 9th grade to 12th grade students who have mastered Algebra I. No prerequisite science is required. 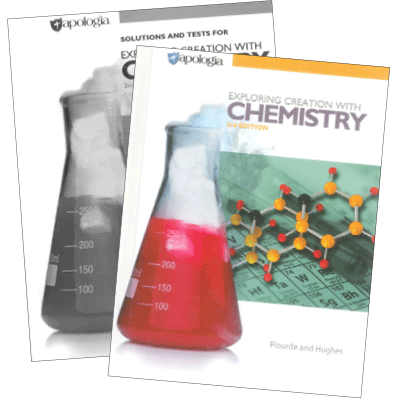 This course is compatible with only the 3rd Edition of the Apologia Exploring Creation with Chemistry textbook. This course was originally created for the 2nd Edition and adapted for the 3rd Edition. The 2nd Edition is now out of print. Since the course was designed for the 2nd Edition, I recommend that textbook if you can find it used.